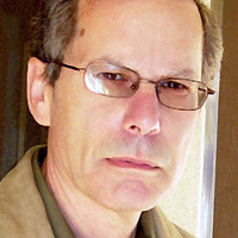 James L. Gelvin is Professor of Modern Middle Eastern History at the University of California, Los Angeles. He received his B.A. from Columbia University, his Master's in International Affairs from the School of International and Public Affairs at Columbia University, and his Ph.D. from Harvard University. He has taught at Boston College, Harvard University, MIT, and the American University in Beirut. A specialist in the modern social and cultural history of the Arab East, he is author of five books: The New Middle East: What Everyone Needs to Know (Oxford University Press, October 2017); The Arab Uprisings: What Everyone Needs to Know (Oxford University Press, 2012, 2015); The Modern Middle East: A History (Oxford University Press, 2004, 2007, 2011, 2015);The Israel-Palestine Conflict: One Hundred Years of War (Cambridge University Press, 2005, 2007, 2014); and Divided Loyalties: Nationalism and Mass Politics in Syria at the Close of Empire (University of California Press, 1998), along with numerous articles and chapters in edited volumes. He is also co-editor of Global Muslims in the Age of Steam and Print, 1850-1930 (University of California Press, 2013).